A new process that removes flash from molded parts using dry ice. Dry Ice Micro Deflash removes flash on the exterior and interior of parts, and cleans cross-holes and slots within the parts. The process is effective in removing minor flash from parts. Dry Ice Micro Deflashing is an ideal solution for parts that have inconsistent flash. Since the parts are deflashed separately, attention is given to the areas of concern. If a work holder is required, NitroFreeze is expert in developing low-cost fixtures to support the deflashing of the parts. Dry Ice Micro Deflashing is available for most machined and molded parts, especially on engineered materials and composites. We have many cases of successful flash removal on parts machined from plastics, polymers, nylons, delrin, Teflon, polypropylene, polycarbonate, ABS, PET, HDPE, PEEK, DAP, Tefzel, PPS, Viton, Torlon, CTFE, Liquid Crystal Polymer, PH Stainless Steels, Aluminum and Beryllium Copper. The cost to deflash parts as a general rule of thumb is between 10% and 20% of the value of the part, although each part must be considered on its individual characteristics. Dry Ice Micro Deflashing is more cost-effective than labor-intensive hand deflashing by a significant margin. Our automated process produces consistent part-to-part results, unlike variations produced by individual operators attempting hand deflashing. Solid blocks of dry ice (CO2) or dry ice pellets are used as a non-abrasive media. The blasting system is connected to a compressed air source which achieves blasting at rates as high as 150 PSI. Once the dry ice impacts the surface, it subliminates, causing it to expand 800 times its original size. This allows the flash to be easily removed. 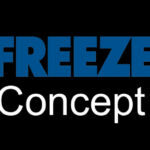 NitroFreeze is pleased to provide a no-cost or no obligation assessment of your machine flash problem. We can review part drawings, photos and actual samples of machined parts. If the parts are deemed a good candidate for the process, samples can be processed for a nominal fee. We can also evaluate parts on a not-to-exceed cost basis if you have a target cost in mind. We are always happy to talk with you.